Landscape maintenance requires time, effort, and knowledge to ensure you are doing the right thing for your outdoor area. For residents living on Oahu, we know it is almost impossible to have the perfect lawn without any help with your yard maintenance. Mowing and trimming plants are not the only tasks that you need to do. And working on your yard on weekends will not be enough to maintain its pristine condition. A dedicated yard maintenance service like ours at Unlimited Landscape Hawaii is the only solution to ensure a healthy and good looking lawn. Our company makes sure that your lawn is properly maintained all year round with our comprehensive maintenance services. 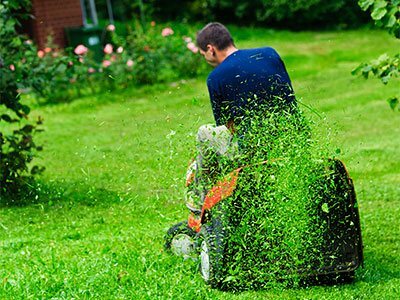 Lawn mowing – For most homeowners, mowing a lawn is all about yard maintenance. However, mowing grass is but a small part of keeping a good-looking lawn and garden. It is part of keeping the grass groomed and healthy. With us, you'll get expert lawn mowing services. 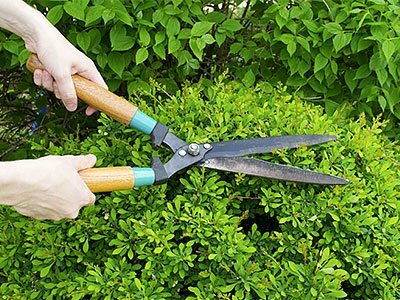 Trimming – We offer hedge trimming as well as tree pruning for overgrown branches. This keeps a yard and garden from looking wild and forbidding. Letting the sunlight through foliage helps make the garden a welcome place to relax and enjoy the weather. Weed prevention – Before preparing soil for seeding, steps have to be taken to prevent the growth of weeds. Weeds use up the same nutrients from soil as those needed by your plants. With proper yard maintenance, controlling the weeds without affecting the growth of the plants is achieved. We adopt weed prevention methods that do not harm the environment. Fertilization – We consider the type of soil and the kind of plants installed before we apply fertilizers. Fertilization should be done either once or twice a year. Aeration – Properly aerated soil ensures that grass and plants are watered properly. Additionally, the plants have better access to nutrients and fertilizers. Aeration should be done up to three times, depending on the level of soil compaction and the growth of your plants and grasses. Pest control – Controlling pest infestation is important to ensure you'll always have the best looking garden in your area. We make sure that the pest control effort is performed without adversely affecting the rest of the garden. It also entails the proper use of pesticides and pest control methods in an environment-friendly manner. There is no reason for your yard to look unkempt, dark, and overgrown. We at Unlimited Landscape Hawaii can help you create a welcoming environment in your own backyard. Modern yard maintenance is about controlling the growth of a garden, keeping the plants healthy and glowing with vibrant colors and letting the sunlight shine on the grounds with enough shade for a languorous time. Keeping a yard looking great need not be a stressful job but something which you should enjoy. Give us a call to know how we can help keep your lawn and garden looking great with our yard maintenance services.